Expatriates planning on spending their retirement outside of the United Kingdom are most likely to be making the majority of their purchases in a currency other than British pounds. Understandably, pension funds housed in the UK will be invested in Pounds Sterling (GBP). 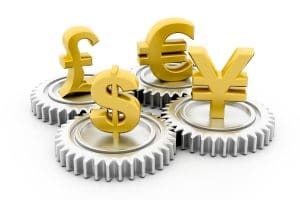 However, if you are planning to retire in a country such as France, Spain or Portugal, this may be inconvenient and also expose you to foreign exchange rate risks. 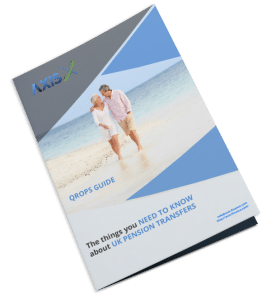 Retired expats who leave their pensions in the UK may have no choice but to convert their sterling based pension income into the local currency at a time when the rate is unattractive; this can result in them ending up with less money than they had bargained for. Converting from one currency to another on a regular basis is not an efficient way for an expatriate to manage retirement income. Qualifying Retirement Overseas Pension Schemes (QROPS) are available in Euros, US Dollars and Pounds Sterling. Being able to choose your currency in the scheme means that you can receive your retirement income in the same currency used to pay your expenses. This flexibility in terms of currency choice provides options for the expat in retirement. You can’t always sit and wait until the exchange rate moves in your favour! Over recent years a strengthening Euro has eaten into the purchasing power of of pensions drawn in GBP. As exchange rates fluctuate, tracking can be tedious and your financial planning can be made much more difficult. The rate between two currencies can change significantly by the hour. By utilizing a QROPS to receive your retirement income in the domestic currency, budgeting for expenses becomes a more straight-forward task . This freedom doesn’t only extend to how you receive income from your retirement funds. Most UK pension plans are heavily invested in UK stock, bonds and property, all of which are denominated in Pounds Sterling. Annuities if purchased in the UK are also based in GBP. QROPS benefit the expat by allowing you to invest your assets in a wider range of investments, whose values are tied to a much more diverse range of currencies. There are over 900 different QROPS available; therefore the range of choice at your disposal is huge. Your funds can be directed towards the assets and the underlying currency which match your retirement needs. Expatriates who are considering retirement to countries such as Spain, Portugal or France, should carefully review currency implications relating to the country they intend to retire to. Moreover, consideration should be given to the QROPS providers / trustees that oversee the scheme. Many of the providers will try to find you the best available exchange rate for the transfer of your pension fund into the new scheme. The QROPS market continues to grow as more and more British people seek to retire abroad. It is important that individuals gain as much information as possible on the market providers and the particulars of the schemes on offer.